A recent survey on developer economics put together by analytics firm VisionMobile polled 6000 respondents from 115 different countries on their motivations, challenges, and future plans for app development. The results give some intriguing insights into what are the prime motivating factors behind what developers do; namely, a sense of achievement and not money is the main motivating factor in software development (of course, a paycheck is always appreciated). “We find that Explorers and Hobbyists, those seeking to learn, have fun and self-improve, make up 33% of the mobile developer population but only 13% of the app economy revenues. These segments prefer – more than average – BlackBerry 10, Windows Phone as a platform, as these are more often associated with experimentation and learning. The Hunters and Guns for Hire, those seeking revenues from the app economy, make up 42% of the developer population and 48% of the app economy revenues. These segments prefer – more than average – iOS as a platform, due to the consistent revenue-generating opportunities of the platform. As previously mentioned, this developer survey showed that money as the prime motivator behind software development is the goal for only about half of the developers surveyed. Creativity and a sense of achievement are what make the difference for 53% of developers, while the most important goal for 33% of those surveyed is simply gaining knowledge, having fun, or making strides towards self-improvement. 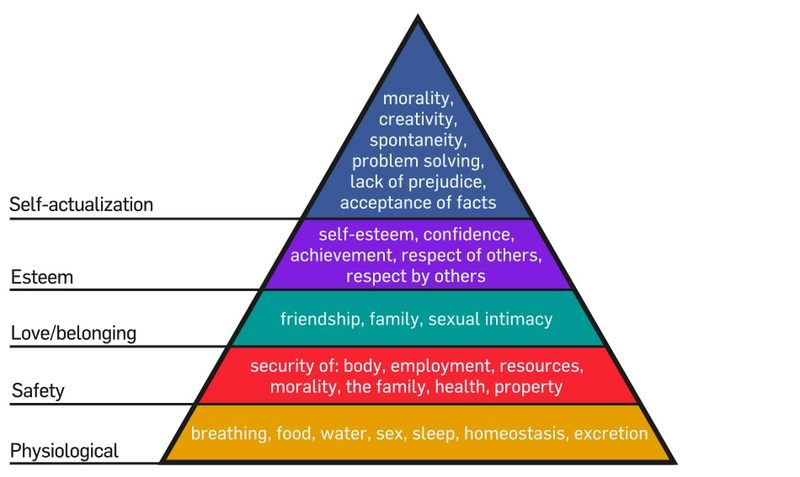 ".........The top of Maslow's pyramid is self-actualization...in some ways I think we like to achieve self-actualization through our code, [such that] in years to come, maintenance programmers will stumble upon this architecture and exclaim, 'Wow, Scott was here.'" Are you writing software or crafting software? When does your craft become art? This is a noble and certainly attractive goal, but is one that should be attempted only after the basic needs are met." - Scott Hanselman, "Maslow's Hierarchy of Needs of Software Development"
“The survey discovered that though developing apps for iOS and Android are both profitable, pulling monthly app revenue of $5,200 and $4,700, respectively, some developers are considering to start developing for Windows Phone. The survey revealed that Android, iOS and HTML5 are the top three platforms chosen by developers across all the regions where the survey was conducted. In North America, 67 percent of developers use Android, 62 percent on iOS, and 55 percent on HTML5. The survey revealed that three main things affect developer choice, and that is Speed and cost of development, revenue potential, and the ability to reach target consumer. It’s interesting to note that all the contestants had about this same attitude: it’s not necessarily about the destination, but the journey. I suspect that for many developers, the motivation in software development lies in the challenge of discovery. “Go deep into the technology you’ll be developing on in the future with today’s software experts. Keynotes and Technical Sessions will let you hear about the very latest Intel advancements directly from the people who are creating them. Labs led by developers will let you get hands-on with Intel® software technology. If you’re a developer reading this, what drives you to keep going? Is it the promise of some extra money, self-improvement, creativity, or the thrill of accomplishing new things? Do events and contests help keep those creative juices flowing? Let us know in the comments.